A winning project at the OHBA Awards of Distinction! We’re honoured to announce that Amsted has been named a winner at last night’s OHBA Awards of Distinction! 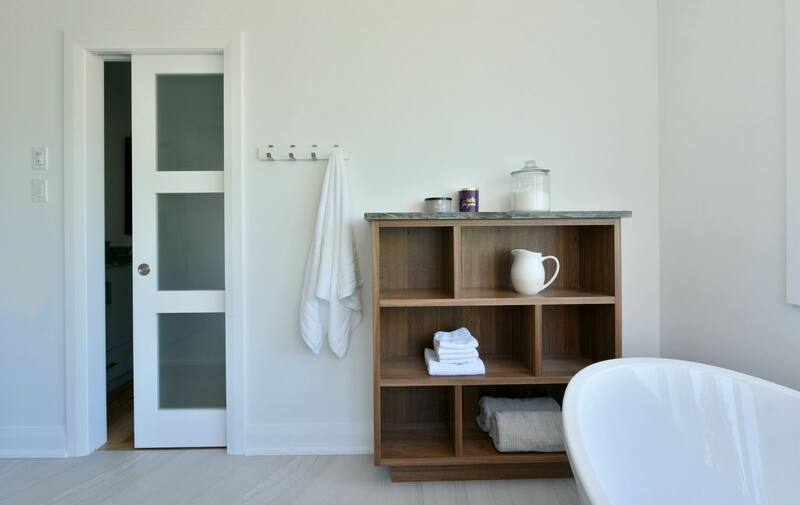 The gorgeous ensuite from our mostly main-floor renovation claimed the award for bathroom renovation! This overall project was all about maximizing efficiency while creating a layout that fit within the confines of the original space and it has resulted in three nominations between the provincial awards organized by the Ontario Home Builders’ Association and the local awards to be held in October by the Greater Ottawa Home Builders’ Association. Our Director of Design, Chuck Mills, needed to re-evaluate and reconfigure the home to create the open-concept living plan the owners desired, while making modest updates elsewhere to further improve their living space. One of those modest updates included a new inviting master ensuite. The design features soft neutral tones, a minimalist approach and clean lines for a spa-like retreat that’s welcoming and soothing. 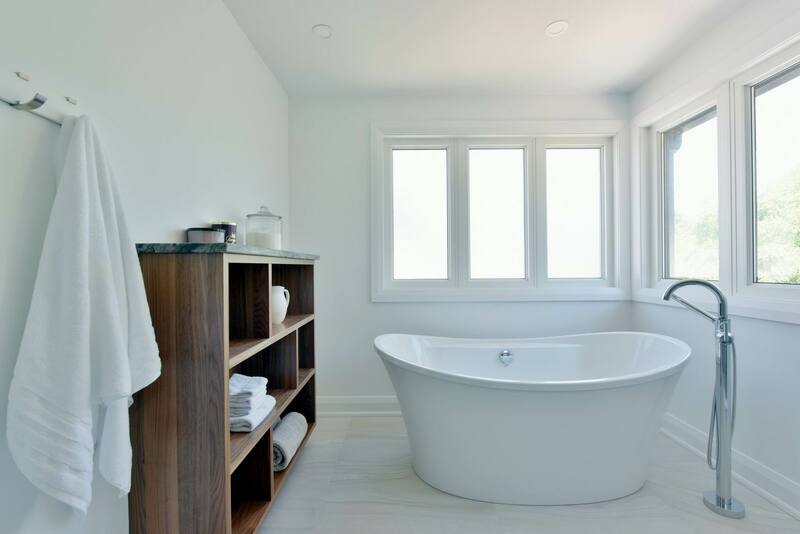 An outdated sunken corner tub was replaced with a sculpted free-standing one surrounded by windows, with a generous glass-enclosed shower nearby. 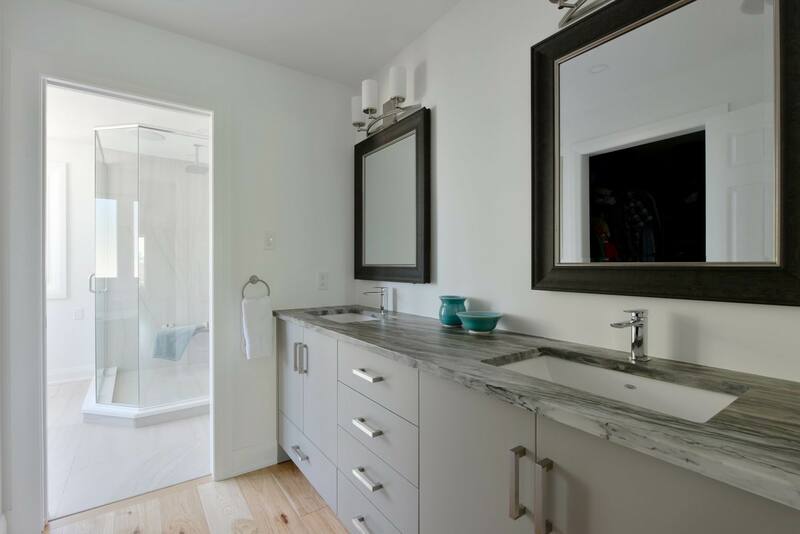 The wet zones of the tub and shower were purposely separated from the dressing and vanity areas for improved functionality, and storage was maximized with lots of cabinetry. Congratulations to everyone who worked on this project: everything we do is always a team effort!